An Oklahoma State University men’s basketball player collapsed and died Thursday in Stillwater. 21-year-old forward Tyrek Coger was pronounced dead at Stillwater Medical Center Thursday evening after a 40-minute team workout at Boone Pickens Stadium. The Oklahoma State Medical Examiner’s Office says Coger died due to an enlarged heart. 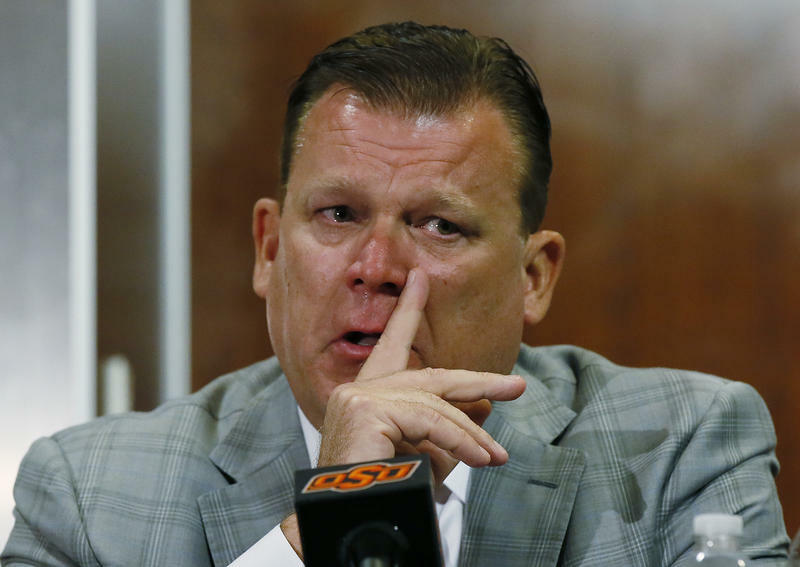 OSU head coach Brad Underwood, who was out of town at the time, said there is no worse feeling as a coach than getting the call he received Thursday. 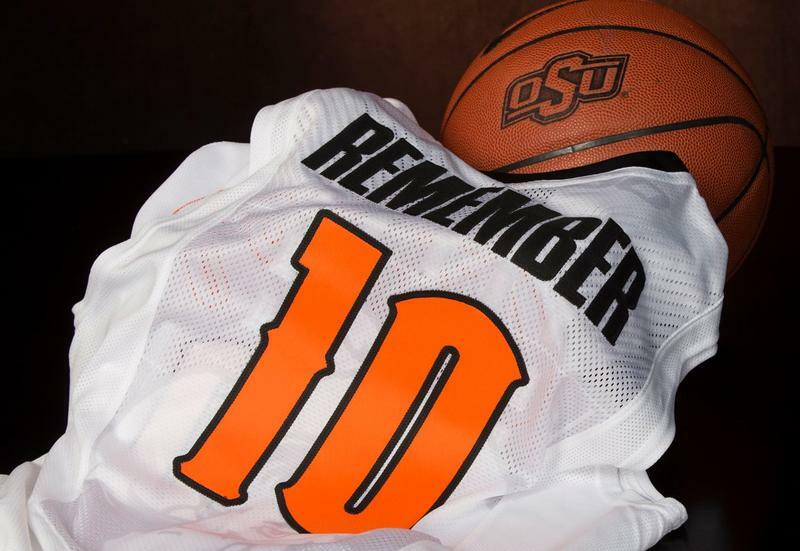 The entire Oklahoma State University men's basketball team will be wearing the number "10" on their jerseys Wednesday evening when they take on Baylor University in Stillwater. The 8 p.m. game comes 15 years since the plane crash that killed 10 members of the OSU basketball team, coaches, and support staff. The University of Oklahoma takes on Oklahoma State University Saturday night in Stillwater in a highly-anticipated matchup that has conference and national championship implications. But for two of the three teams still in contention for the Big 12 title, it’s a little bit complicated. OU is easy. Just win your next game. Court records indicate the woman accused of driving the car that crashed into a crowd of spectators at Oklahoma State University’s homecoming parade a month ago had a blood alcohol content of 0.01. Adacia Chambers was arrested on suspicion of DUI October 24. Prosecutors say she drove around a barricade and into spectators gathered to watch the parade before crashing into a pole. After weeks of publicity, a judge has issued a gag order in the case of the woman suspected of driving her car into a crowd of spectators at the Oklahoma State University homecoming parade. Adacia Chambers made her second appearance in court to be arraigned on four counts of second degree murder and 46 counts of assault, but while she was there, District Judge Louis Duel also ruled on motions filed by the prosecution. Prosecutors are asking for a gag order in the case of the Stillwater woman charged with second-degree murder in the deaths of four people at Oklahoma State University's homecoming parade last month. Defense lawyers started to present their case to the public the day after Adacia Chambers’ arrest. Attorney Tony Coleman held a press conference the night after the car crash, and told reporters about his client’s mental health history and mindset at the time of the incident. 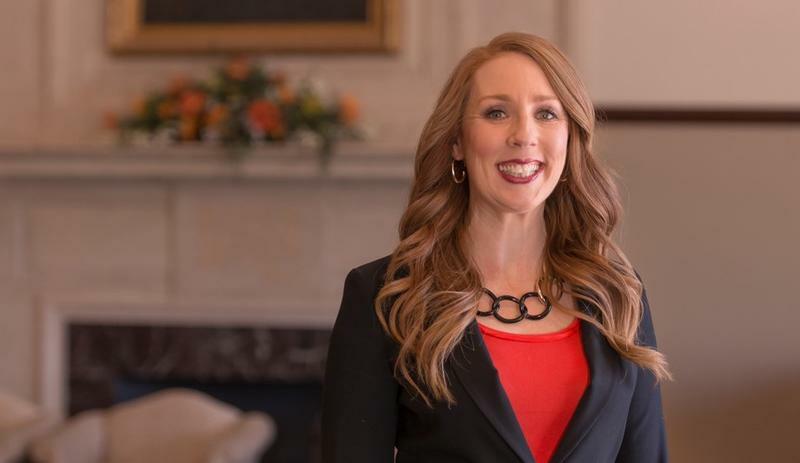 Payne County District Attorney Laura Thomas formally filed charges Wednesday against the woman accused of crashing her car into a crowd during Oklahoma State University’s homecoming parade nearly two weeks ago. Four people died and more than 40 others were injured. Stillwater resident Adacia Chambers faces four counts of second-degree murder, and 46 counts of felony assault. She’s been held in the Payne County Jail on $1 million bond. The recent tragedy at the Oklahoma State University homecoming spread a wave of grief across the state as Oklahomans mourned the death of four people, including a two-year-old boy. 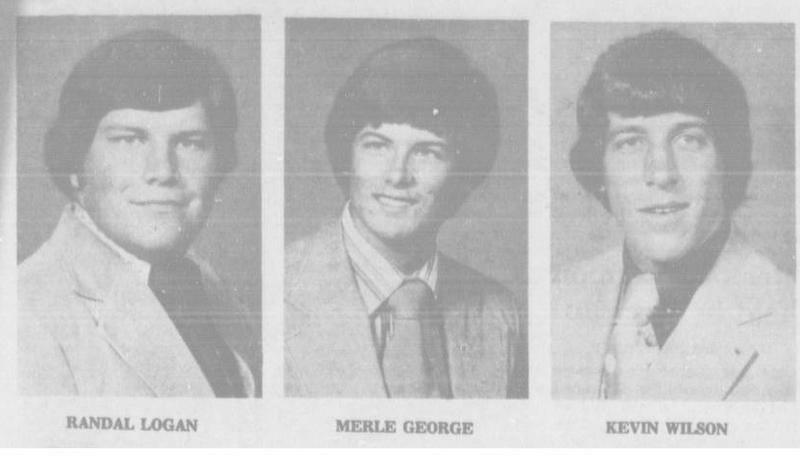 But for some, these recent events sparked memories from years past of another homecoming nightmare. Two days after the fatal car crash at Oklahoma State University that claimed four lives and injured nearly four dozen more people, the woman suspected of driving her car into a crowd at the school's homecoming parade made her first appearance in court. Police say Adacia Chambers ran a red light and drove around a barricade before striking pedestrians and crashing into a pole Saturday morning. The woman held in connection with a traffic collision during Saturday morning’s homecoming parade at Oklahoma State University that killed four people and injured dozens more will be charged with second-degree murder. 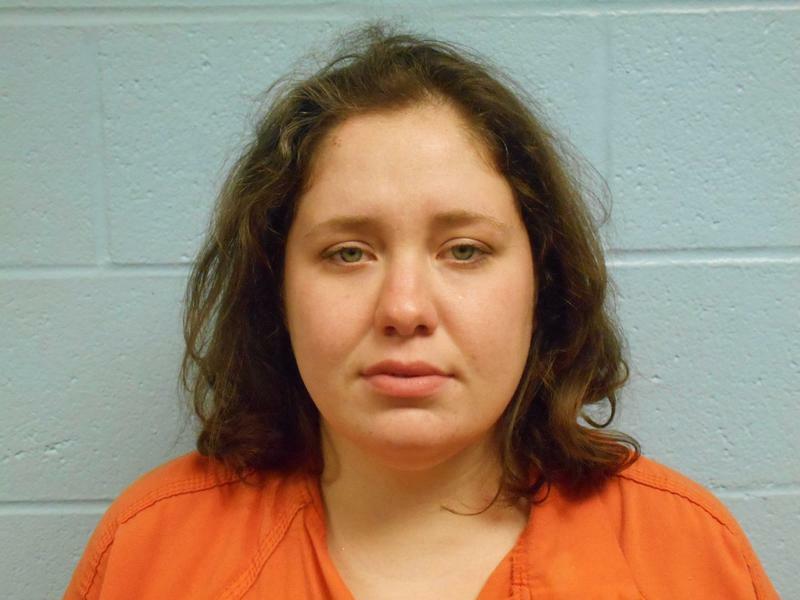 Bond has been set at $1 million for Adacia Chambers, the woman arrested in connection with Saturday's deadly car crash during Oklahoma State University's homecoming parade. 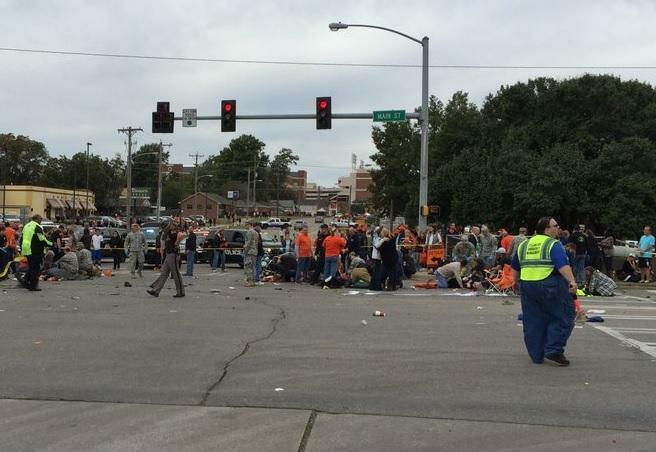 Four people are dead and dozens more are injured after a car barreled through a crowd during Oklahoma State University's homecoming parade Saturday morning. A car traveling southbound on Main Street hit several people near the intersection with Hall of Fame Ave. less than a mile east of Boone Pickens Stadium. 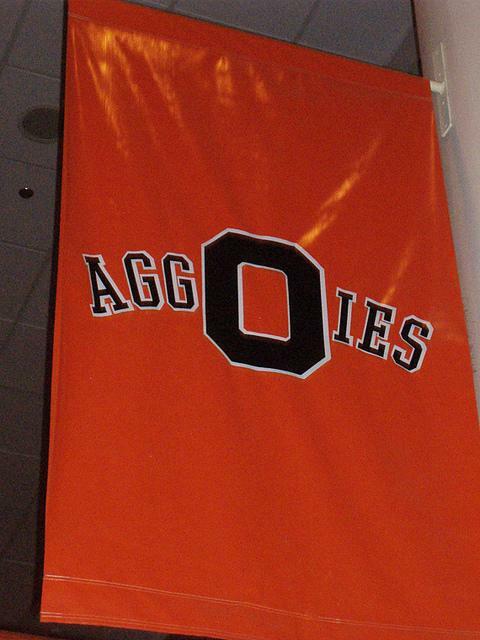 Oklahoma State University is suing New Mexico State University, claiming the Aggies have plagiarized its pistol-packing mascot. 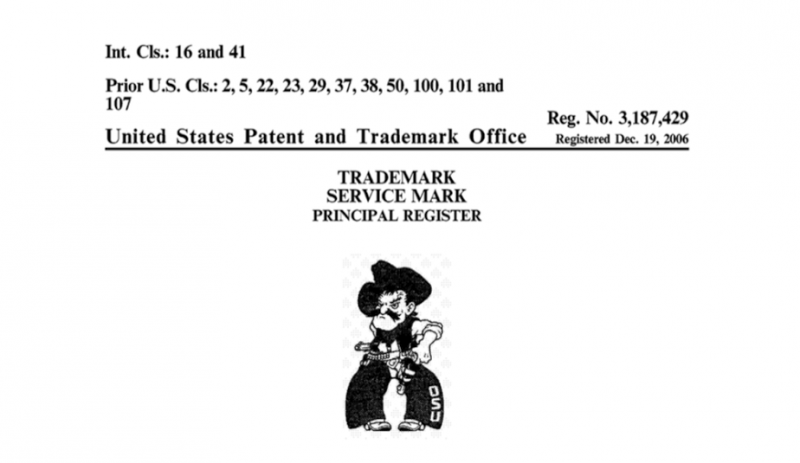 The federal lawsuit filed Monday in U.S. District Court in Western Oklahoma says the NMSU's mascot is "confusingly similar" to OSU's Pistol Pete Marks. The Oklahoma school wants NMSU to stop using the mascot known in Las Cruces as "Classic Aggie." The libraries at Oklahoma State University and the University of Oklahoma have joined together to create a website that makes published research results easily accessible to the public. The website includes digital dissertations, faculty publications and research, open-access publications and more. The project is called SHAREOK and is an effort to make federally funded research results freely available to the public. The White House has called for greater transparency in scientific research projects. Students at Oklahoma State University have designed two drones capable of punching through violent storms and aiding authorities with search and rescue efforts. The first drone — also known as an unmanned aerial vehicle — was designed to intercept and measure key weather data in severe thunderstorms. Called MARIA, the aircraft can be deployed rapidly and flown into the lower parts of developing storm cells to improve understanding of the systems. The Oklahoma State University/A&M Board of Regents has approved a ban on electronic cigarettes and other smoking devices on the Stillwater campus. The board voted Friday during a meeting in Langston to immediately ban e-cigarettes, hookahs, vapor devices and clove cigarettes until more research on their safety is completed. 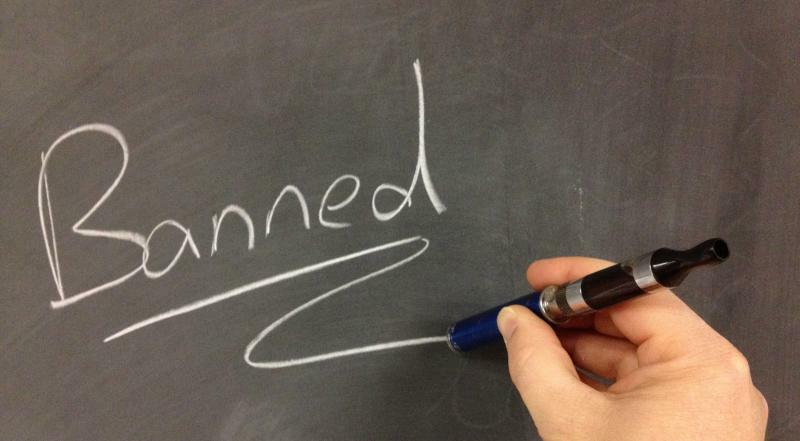 The OSU Student Government Association and other groups support the ban. 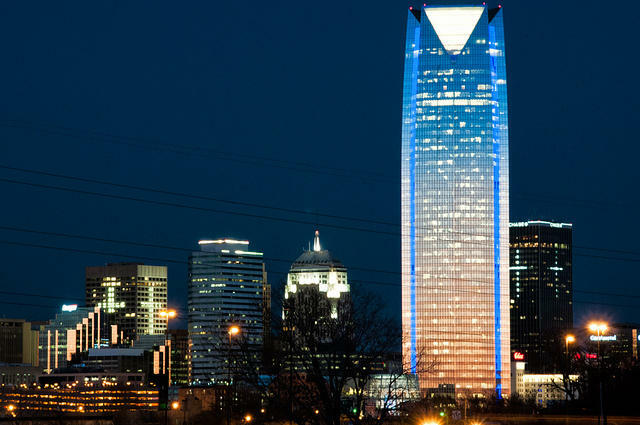 Oklahoma could see more jobs, if predictions from a new economic forecast come true. Economist Dan Rickman expects 20,000 jobs will be added to the state’s economy in the next year. He says most of those will come in the administrative and support services, with more than 5,000 new workers. An Oklahoma State University professor is set to start examining historical properties associated with famous women in the Sooner State later this month. Alyson Greiner says the project will last about nine months and her research will be sent to the State Historic Preservation Office. The hope is to nominate some of the properties associated with the women to the National Register of Historic Places or to update current landmark listings with the role women played. 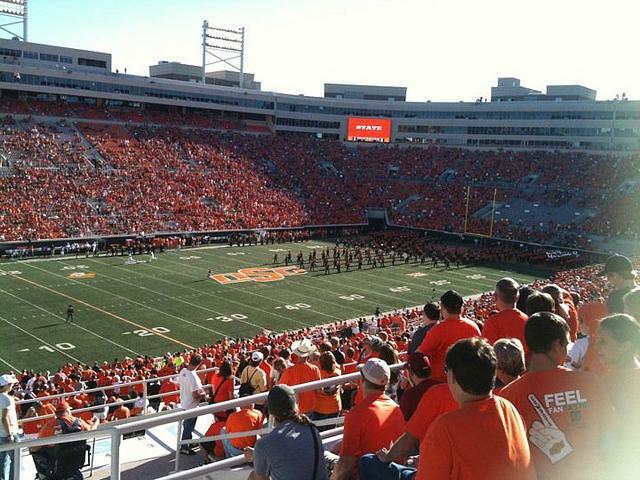 Oklahoma State University has appointed a former NCAA official to investigate alleged misconduct in the Cowboy football program. 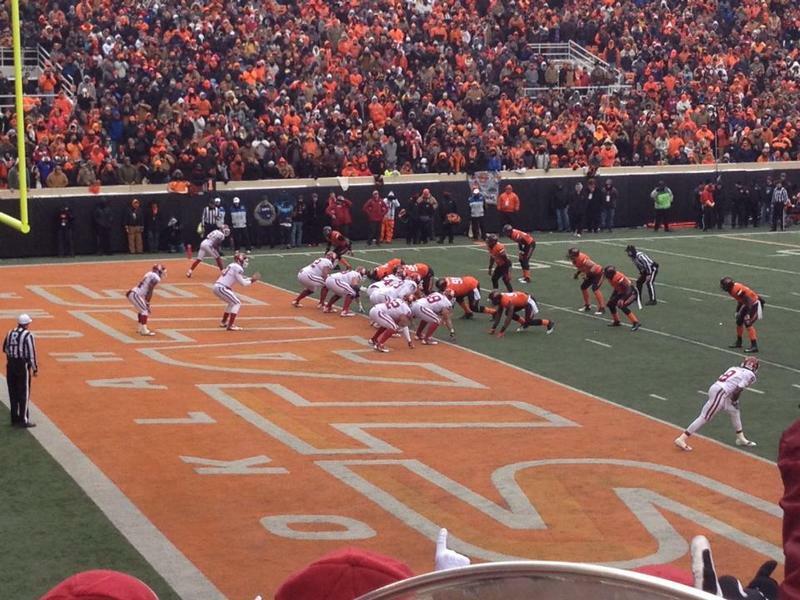 OSU President Burns Hargis and the Board of Regents announced Monday that Charles E. Smrt will lead an independent review of alleged violations reported by Sports Illustrated. An Oklahoma State University online entrepreneurship program has been ranked the best in the nation. Rankings published this month list the Master's in Entrepreneurship program offered by the School of Entrepreneurship in the Spears School of Business as the best in the nation for the second consecutive year.